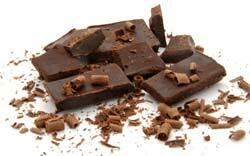 Chocolate market in India is estimated to be around 1500 crores according to ACNielson report, growing at 18-20% per annum. Cadbury is the market leader with 72% market share of India. The per capita consumption of chocolate in India is 300 gram compared with 1.9 kilograms in developed markets such as the United Kingdom. Over 70 per cent of the consumption takes place in the urban markets of India. Margins in the chocolate industry range between 10 and 20 per cent, depending on the price point at which the product is placed. Chocolate sales have risen by 15% in recent years to reach 36000 tonnes according to one estimate. Another estimate puts the figure at 25000 tonnes. The chocolate wafer market in India is around 35 % of the total chocolate market and has been growing at around 13% annually. As per a study, the Indian candy market is currently valued at around USD 664 million, with about 70%, or USD 461 million, in sugar confectionery and the remaining 30%, or USD 203 million, in chocolate confectionery. The global chocolate market is worth $75 billion annually.